A new podcast in Danish about roleplaying-games – of which there are only very few – have seen the light of the day, and that has been the reason for the few posts on this blog recently. Not because I have spent my time listening to the podcast, but because I am one of the hosts. For the curious the podcast is called Lænestolsrollespil, and it is about reading RPG-books, mainly rulebooks, but we will also be reading scenarios and source books, and then discussing how they hold up. 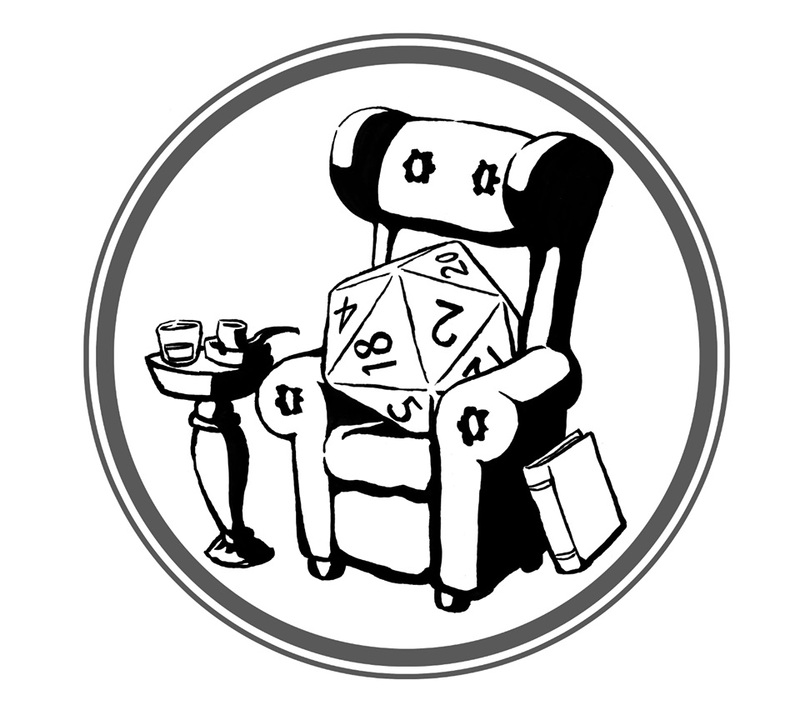 It is not actual play or reviews but discussions of the texts and how they work as games, and that is why the title of the podcast is ‘Reclining chair rpg’. Next up is GURPS and somewhat later we will be looking at games like Apocalypse World and Lamentations of the Flame Princess. You can find the podcast on Soundcloud here, on facebook and on its own website.